This post is LOOONG overdue but better late than never! Today I’ll be talking about my Inglot eyeshadow palettes. The first palette I’ve had in my possession for over a year whilst my newest palette is around 3 weeks old. I experienced my first ever taste of Inglot at IMATS last year, I picked up some eyeshadows from their Freedom System as well as other products and although I spoke about it in my haul and I’ve used the shadows I’ve realised I’ve never spoken about them in detail. So let’s do that today! Just before we start let me just say all swatches below were made dry and without primer. My first palette was a quad from the Inglot Freedom System. The Freedom System essentially allows you to customise your own palette. I can’t remember the price exactly as I bought this at IMATS but originally the quad runs for £20 for the palette and eyeshadows combined. Inglot’s eyeshadows all come in number form which is a bit annoying but not the end of the world. 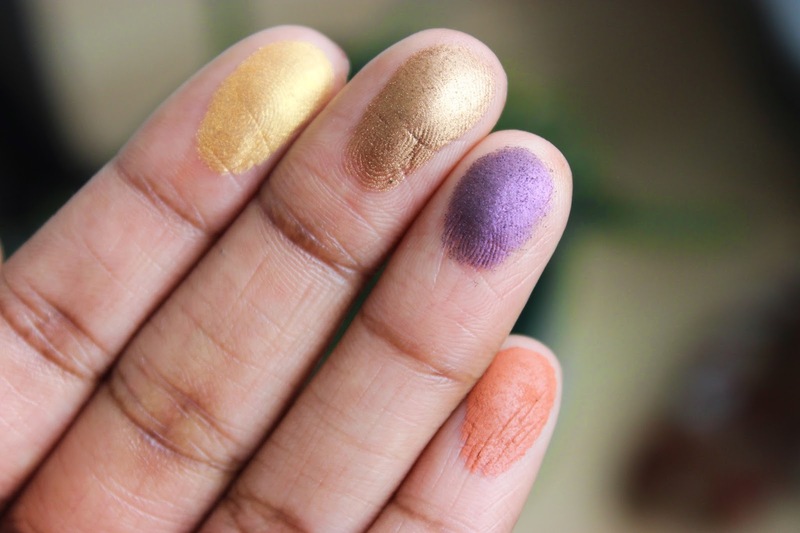 The Inglot sales assistant that I spoke to the other day recommended that I take note of the numbers I already have to avoid accidentally repurchasing the same eyeshadow, because as ludicrous as this sounds, it is possible. 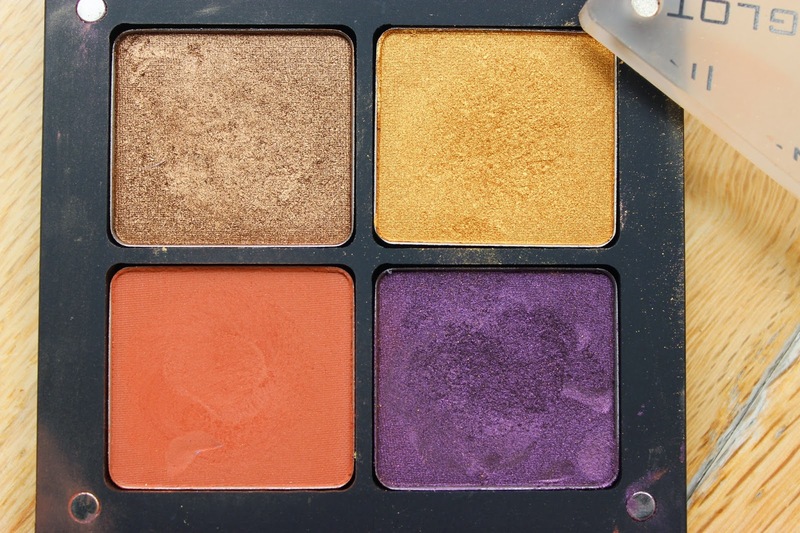 Inglot eyeshadows come in a small range of finishes. 335 Matte: A warm terracotta matte eyeshadow with more of an orange undertone. Great as a transitional colour, easy to blend and buttery. 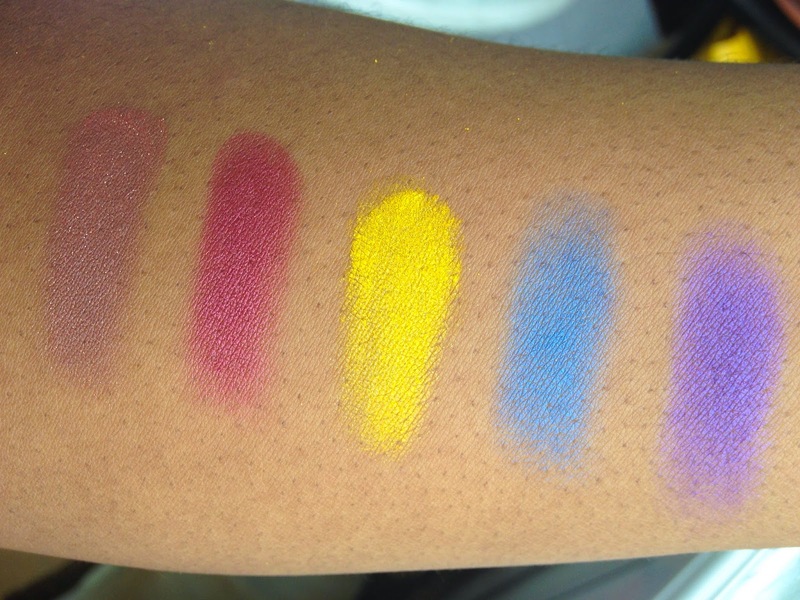 Very pigmented. See me using this shade HERE. 446 Pearl: A metallic cool toned purple, slightly duo chromed. Perfect as an “all over the lid” colour for brown eyes. 406 Pearl: A dirty shimmery bronze. buttery, soft and opaque upon application. Onto my latest palette from Inglot. This time I grabbed the 5 Eyeshadow Square Palette which retails for £29.50 for the palette and eyeshadows. 609 DS: Perhaps my favourite eyeshadow out of the palette, a warm toned milk chocolate brown with minute golden glitter. I love wearing this as an lid colour on it’s own. As I am a WoC this doesn’t show up too bright on my skin, instead it provides a subtle wash of colour with slight sparkle. It is easy to blend and great to wear. 450 Pearl: A metallic cranberry. Another great lid colour, soft and easy to apply. Very pigmented, however can be applied as a soft wash of colour with a light hand. 60 AMC: A matte true yellow with minute glitter. Even though I like the colour this is probably one of the most disappointing of shades due to the texture. It is very chalky making it very hard to apply. I think it would work much better on a sticky white base. Will let you know how I get on with this one. I know yellow eyeshadow can be daunting but applied right it looks stunning, check me out wearing yellow eyeshadow HERE. 426 Pearl: A cool tone blue with a shimmery (pearl) finish. A really gorgeous shade and the perfect ‘stand out’ blue. 439 Pearl: A purple with a slightly blue duochrome. This shade works exceptionally well over a black base, it’s vibrancy is stunning! My Inglot palettes are by far one of my most successful beauty buys. 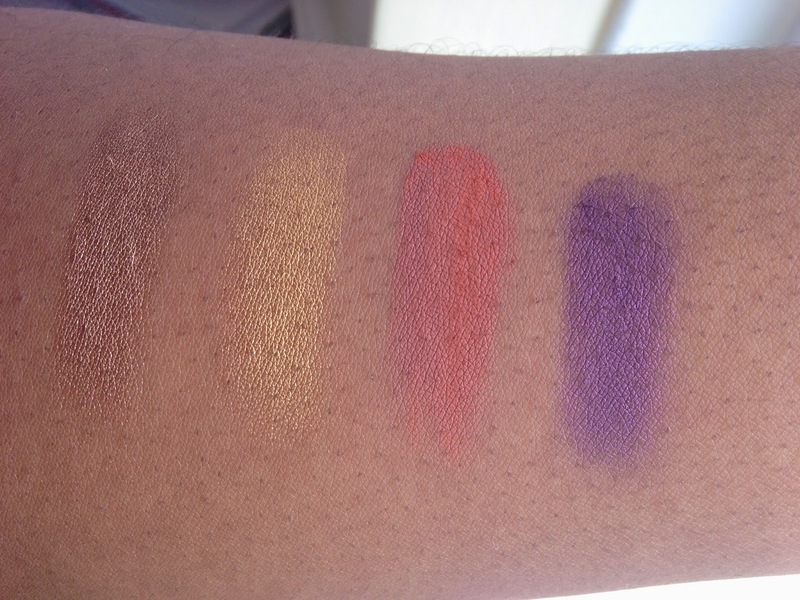 The shadows are unbelievably pigmented, buttery and not to mention, gorgeous! The price range is also stella! Product amount varies per finish however you’re looking at anything in between 2.3g (0.09oz) to 3.2g (0.11oz) for £4.50 each! Damn bargain if you ask me! I know I always say it but Inglot is a MUST for a makeup lover, their products (blushes, face powders, eyeliners) are fantastically pigmented and priced! I want to add more Inglot products to my collection including the ever famous #77 liner as well as more blushers. Hopefully I can do so at IMATS! 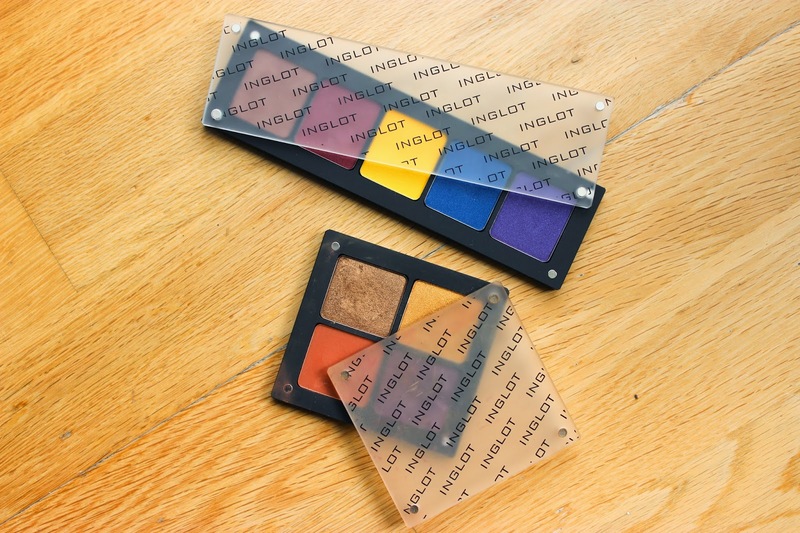 Do you have any Inglot products? 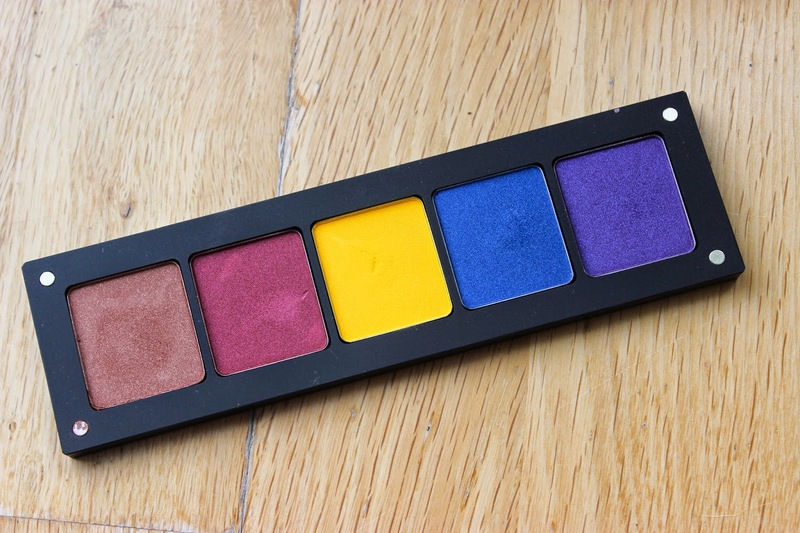 What do you think of Inglot? What’s your favourite Inglot product? You have guts to wear those bright colours, these look so lovely though! I love Inglot. I have 160 colours of Inglot shadows. 160??! My word! That is the dream!!! !